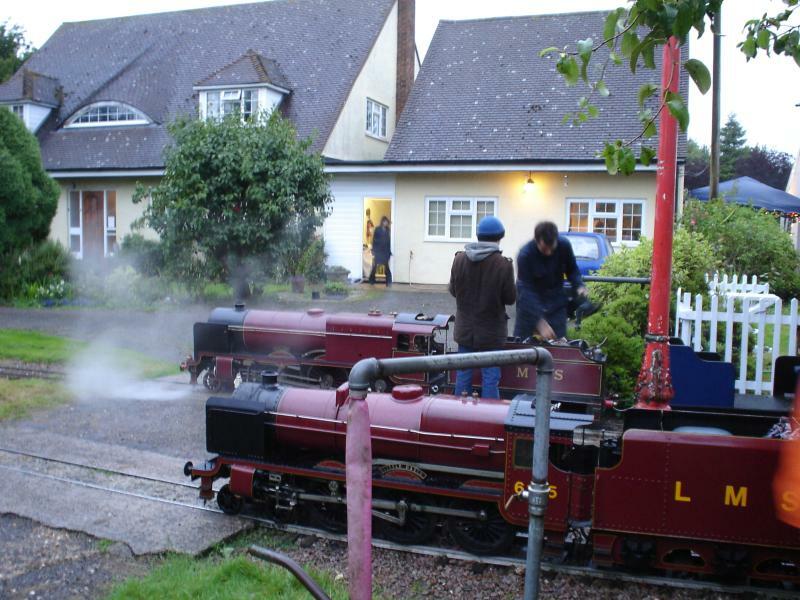 This private 10¼ inch gauge miniature railway in located in North Essex in England and is only open to visitors by appointment or on special open days. However you can visit it anytime you like via this website! 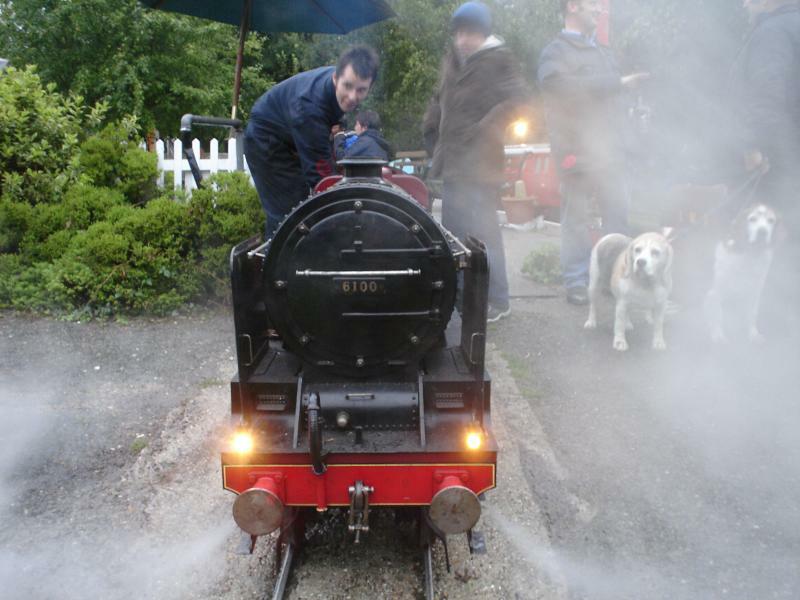 Little David 6135 & Royal Scot ready for an evening's hard work despite the rain! This site was last updated on 29-Apr-2014.